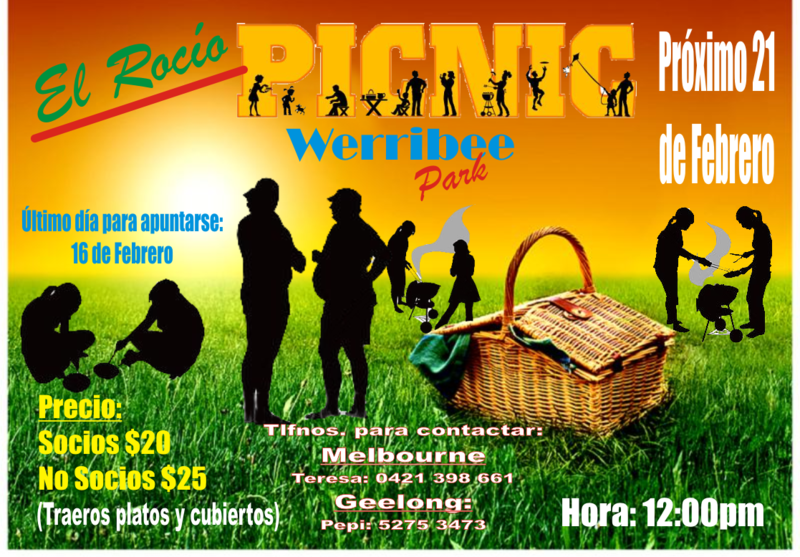 Picnic Rociero en Werribee Park. Se haran paellas y habra postre. Porfavor traer sus platos y cubiertos. $20 para socios and $25 no socios. Esperamos veros! Picnic Rociero in Werribee Park. There will be paella and dessert served. Please bring our own plates and cutlery. $20 for members and $25 for non-members. Hope to see you there!